The Microsoft Android team has been busy. Earlier this morning I told you about a major update to the Next Lock Screen app for Android. 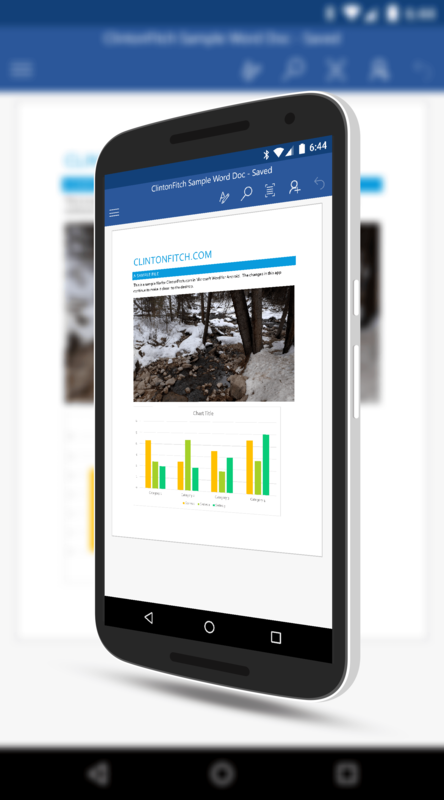 Now the Office team has rolled out an update to the Android versions of Excel, PowerPoint and Word. All three of the updates are now in the Google Play Store and you should be seeing them hit your devices at any point. The big news in these updates is the addition of the Tell Me feature in the apps. If you aren’t familiar with Tell Me, you probably have it and don’t know it. If you run Office 2016 on your PC or Mac, at the top of any of the apps there is a search box titled “Tell me what you want to do”. Type in what you are wanting to do in any of the apps and it will give you instructions on how to do it. It is far faster than trying to dumpster dive into the menus of the apps. That same feature is now available in the Android versions of the apps so you can quickly figure out how to do something without having to search around. you can easily expand or collapse with a click. In Word, you can now merge and split cells when you have added a tablet to a document. The ability to add tables to Word files in Android has been there a while but you couldn’t do a merge or split with them. That, until now, was a desktop only feature. Beyond the Tell Me feature, there is nothing new in PowerPoint. All three of the Microsoft Office apps are free for Android and if you are an Office 365 Home or Professional subscriber (which is on sale right now at Amazon), you get the full unlocked versions of the apps for your phone and tablet.